This is the moment you’ve all been waiting for. All stars are aligned, the Day of Gamer Retribution has begun, and maybe, just maybe, there is the small glare of hope that Tyrone will stop cracking the whip on my back. 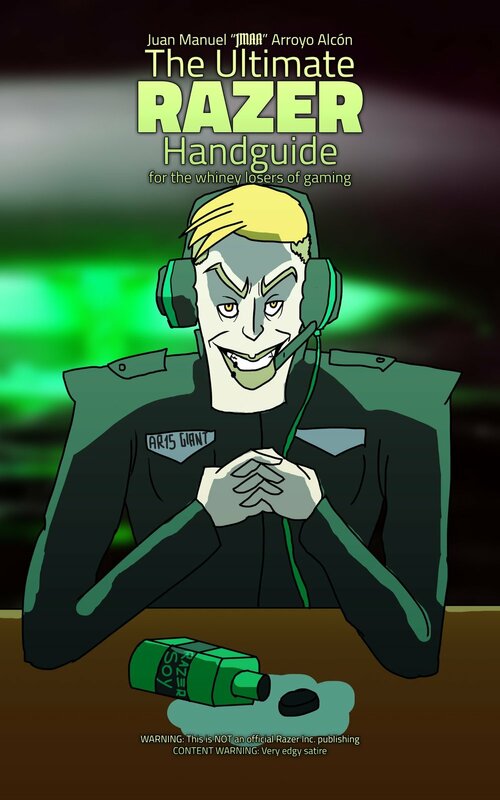 The Ultimate RAZER Handguide for the whiney losers of gaming is NOW RELEASED on ebook and paperback format. So now I dedicated a full section on this website, so you can get it here, along with the other classics as well (Mein Kampf and the YouTube one that is such a pile of dogshit). If you can’t buy it still, I’d encourage you to spread the word and give it some good rep. Give it a couple Facebook shares or Twitter retweets or something, just see if we can get the Razer team to finally realize “I’ve done a good marketing job”.